The clip – which tells the tale of a band on their way up and down in the music business – was scripted and directed by Craig Hooper and Collin Games, who put together the documentary “From Here To inFinite” included in the limited CD+DVD edition of the project. A collector’s edition single for “Johnny’s Band” will include previously unreleased live songs when it’s issued next month. 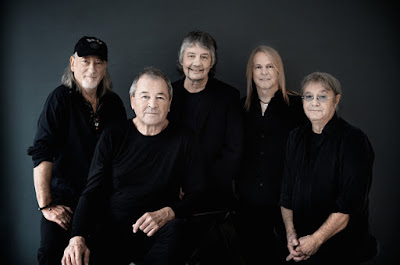 Deep Purple recorded “inFinite” last year in Nashville, TN with producer Bob Ezrin, who also worked with them on 2013’s "Now What?!" The band are currently touring the world on their “inFinite – The Long Goodbye Tour”, which they launched last month in Bucharest, Romania. An extensive European trek runs to July 4 in Lisbon, Portugal before the group begins a joint North American headlining run with Alice Cooper in Las Vegas on August 12.